This app is powered by the HistoricBridges.org Bridge Browser. 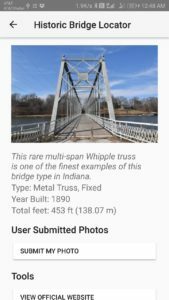 The app includes all bridges on HistoricBridges.org located in the United States and Canada. The HistoricBridges.org database is a work in progress, so if you do not see any bridges for your location, please check back in the future. The app’s database is being expanded as time and funding allows. Your donations to the Historic Bridge Foundation can assist in the further expansion of this database. 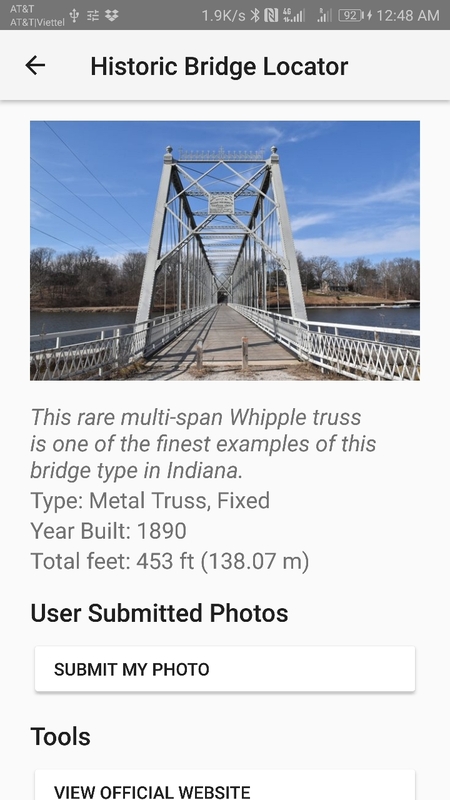 The app is updated every few months to match any additions or changes that have been made to the HistoricBridges.org database.